I know it seems like an odd thing to say, but I spend a lot of time with my characters. When writing a book, or in the case of Sweet Lenora, a series, the characters take up residence in my little writing garret and I think about them at odd times--while I'm toasting a breakfast bagel, while I'm folding laundry, while I'm out taking a walk. 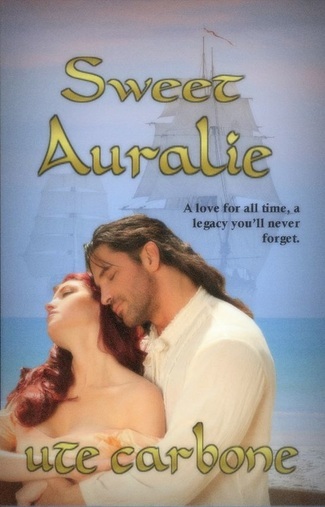 Anton and Lenora have been with me for several years now, and as Sweet Auralie, the final book of the series finds its way out to readers, I will think of them fondly, with just a hint of nostalgia. Sweet Lenora began with a young woman named Lenora Brewer, the daughter of a ship builder and scion of a wealthy and powerful New England ship building family. She was bold, fearless, and a bit naive. As an eighteenth century woman, she didn't have a lot of control over her own life. She wanted autonomy, a chance to be her own woman. Anton Boudreaux came along as hero of the story. He was a young sea captain from New Orleans. The son of a plantation owner and his mulatto mistress, his place in the world was less than assured. He was strong and courageous and honorable. He wanted to prove himself by commanding the fastest ship ever sailed. The series takes place over a twelve year period, from 1850 to the early part of the civil war. As I continued to write, Anton and Lenora continued to grow as characters. Lenora from a plucky girl into a confident woman, who could truly claim autonomy even as she claimed her place as Anton's wife and the mother of his children. And Anton from a brash young man into a true commander, a leader who could be imposing and strong, and a husband and father who could be loving and tender. I loved 'watching' these two come into their own. From the early days of Lenora stowing away on Anton's ship in an act of desperation, to a race around the horn of South America, the journey they take is one of heart. In the end, the love they have for one another becomes the cornerstone of a great family and the legacy they create with that love lasts for generations. I just love reading a writer whose confidence in storytelling almost radiates from the page. This is an immersive historical novel that explores deep into the emotional landscape contained within. Novels about people falling in love abound – but stories about the nature of love itself are rarer. 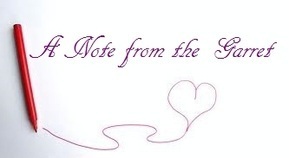 Ute Carbone tackles something so common among couples but rarely if ever noticed or spoken of. When a couple form a relationship they influence how each other think and act. Over years this develops. Often the greater the degree of this is a an indicator of the strength of the relationship. The author has nailed it perfectly and the results are breathtaking. This is a story about what a couple of strong people who accommodate and bend to each other’s demands through love and profound respect can achieve. I’ve seen it in real life – but here someone has embodied it in fiction. Superb. ​ Gary Bonn, Author of Expect Civilian Casualties.